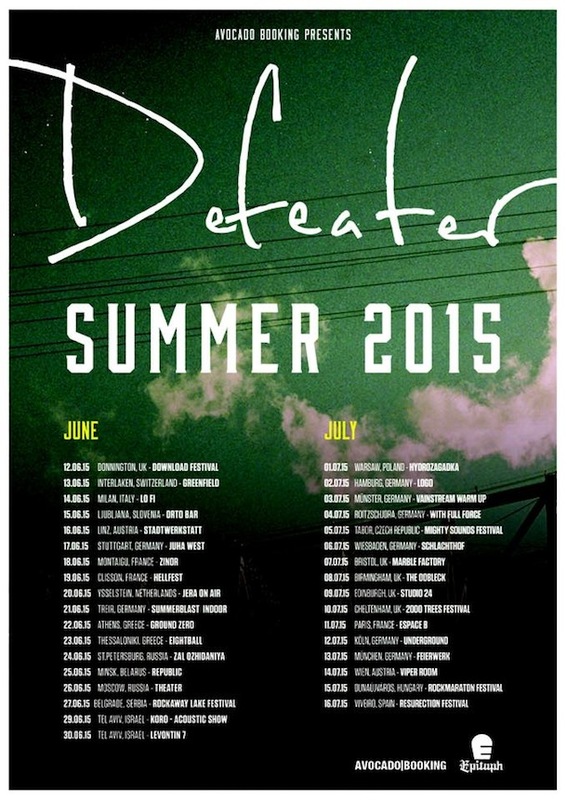 After signing to Epitaph Records and announcing their new full-length album, Defeater from Boston, Massachusetts have announced a huge European summer tour starting on June 12th at Download festival in the UK. Defeater will also be playing in Germany, France, Switzerland, Austria, The Netherlands, Spain, Italy, Slovenia, Greece, Russia, Gelarus, Serbia, Israel, Poland, Czech Republic and Hungary, so choose your pick and make sure to make it out to one of the shows! There are plenty to choose from. Tags: Bandcamp, Defeater, Download, Europe, European Tour, Facebook, Poster, Routing, Stream, Tour. Bookmark the permalink.